Another Italo-American product is the Hudson Italia two-seater Coupé. 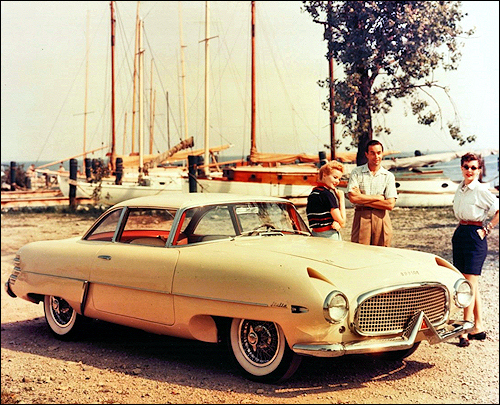 The Hudson chassis is sent from the U.S. to Carrozzeria Touring, who build the Superleggera body, the complete vehicle then being shipped to the U.S. Features are air inlets over the head lamps to cool the front brakes and tyres, and in front of the rear wings for the benefit of the rear brakes. Hudson Italia prototype sports car presented at New York and Turin Motor Shows.